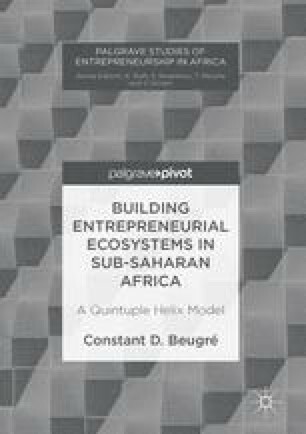 This chapter explores the role of institutions of higher education in the creation of entrepreneurial ecosystems in sub-Saharan Africa. It contends that universities and colleges can play a catalyst role in fostering entrepreneurship. They can do so through entrepreneurship education, research, and in establishing proof-of-concept centers, business incubators, and accelerators. Universities and colleges can also partner with the private sector to facilitate technology transfer and commercialization. The chapter contends that universities must play an important role in the development of entrepreneurial ecosystems.